English painter John Webber was the official artist aboard Captain James Cook's HMS Resolution, which sailed throughout the Pacific Ocean in search of the North-West Passage between 1776-79. 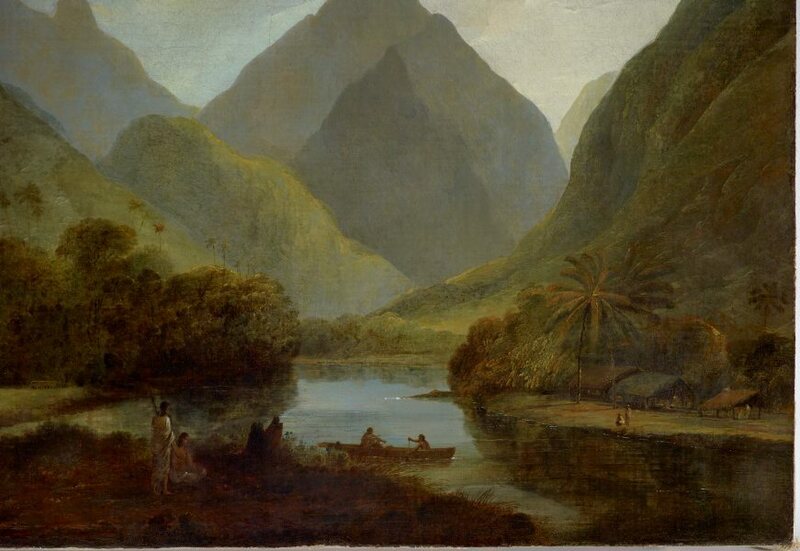 Webber had been enlisted by the British Admiralty to record their discoveries in works to be included in the publication A voyage to the Pacific Ocean 1784. 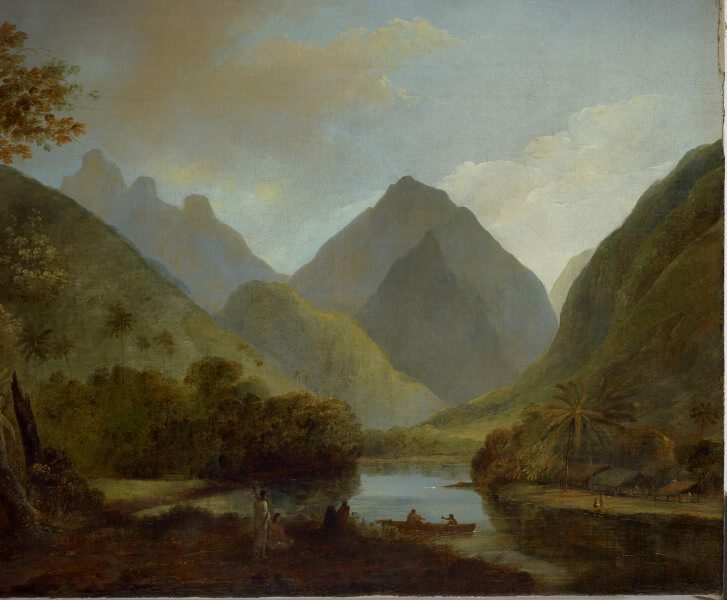 Cook's momentous third voyage led to the European discovery of Hawaii in 1778 and culminated in his death shortly afterwards in 1779. 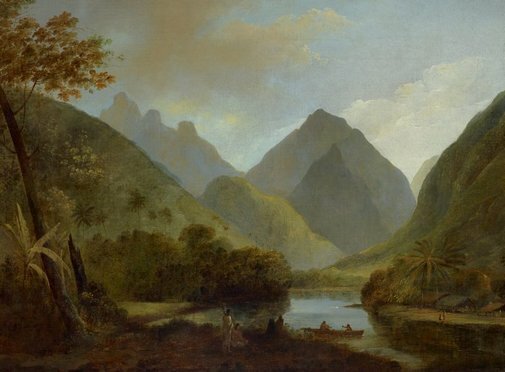 'A view in Otaheite Peha' was painted in England eight years after the Resolution landed in Tahiti in August 1777, probably using drawings or watercolours made during the expedition as a reference. 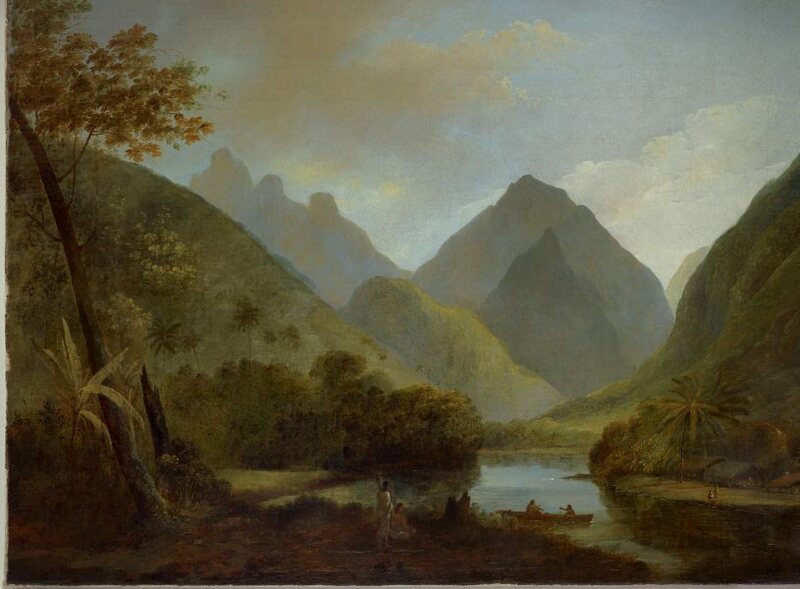 It is one of two known paintings created by Webber depicting the same idyllic scene of villagers taking in the vista of mountainous Oheitepeha Bay. Its duplication can probably be attributed to there being a strong market for new-world subjects during this period of exploration and discovery. 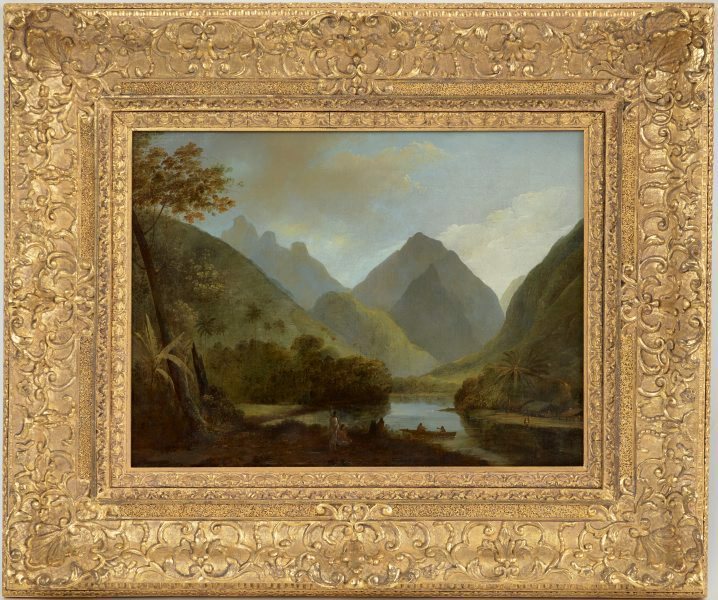 The conservation treatment of this painting and frame was funded by Conservation Benefactors. 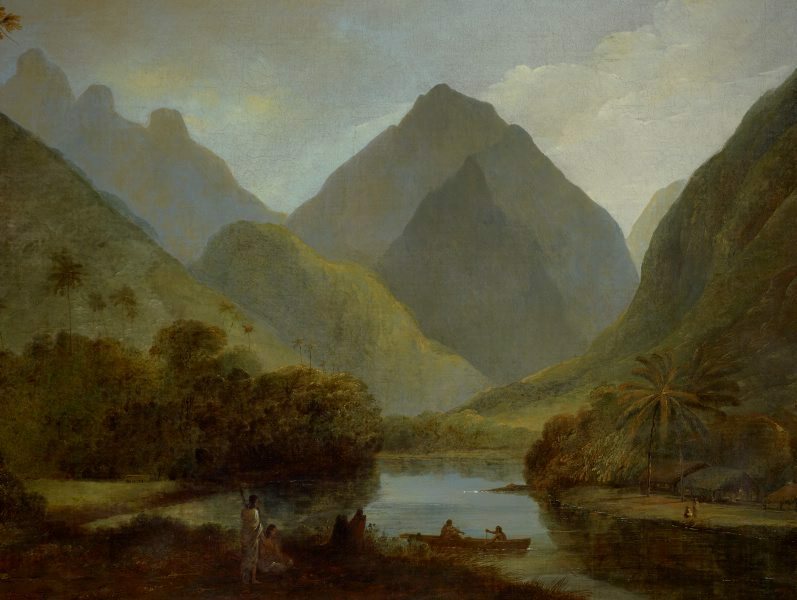 Signed and dated upper c. verso on canvas, black oil ".../ John Webber ... 1785.". Art Gallery of New South Wales catalogue of British paintings , Sydney, 1987, 209 (illus. ).